With an intimate portrait coinciding with his 80th birthday, Getintothis’ Shaun Ponsonby tells you exactly why you need to check out the new Lee “Scratch” Perry documentary. To celebrate the artist’s 80th birthday, the legendary Lee “Scratch” Perry will be looking back on his incredible career with a screening his new documentary Vision Of Paradise at Fact. For over a decade, director Volker Schaner has followed Perry on a spiritual and geographical journey all over the world. Over this period Volker has earned Perry’s trust, resulting in a never-before-granted level of access and insight into his world. But this is not a biography, it is an art piece in it’s own right. In addition to the filmed footage of the man himself (plus an all-star cast of dub and reggae legends) the film is illustrated by unique animated scenes. Using traditional painting techniques, artist Maria Sargarodschi has created imaginary characters of surprising contemporary style influenced by Ethiopian Christian Orthodox Church Art, Perry’s imaginary cosmos and the Beatles’ Yellow Submarine. The movie also serves as a unique documentation of Perry’s now infamous and already legendary “secret laboratory” in Switzerland, which despite its recent destruction by fire, is immortalised in celluloid. Perry is one of the true legends of reggae. Starting out with his group The Upsetters, he went on to produce an array of Jamaican acts (including some bloke called Bob Marley…or something like that) and has recorded with everyone from The Orb to Keith Richards, The Beastie Boys to George Clinton, and David Lynch to TV On The Radio. The film looks set to document a remarkable life and career in a way a legend such as this should be accustomed. 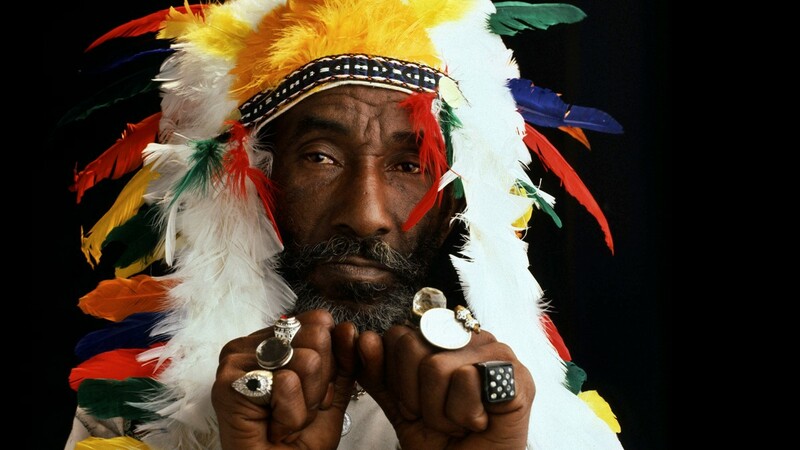 Lee “Scratch” Perry‘s Vision of Paradise screens at FACT on Monday February 29.